Have you ever read a piece of news that pulled you so strongly, you were compelled to act immediately? I could say that’s every cheap airfare for me and I wouldn’t be lying! But not this time. I had been following the recent bushfires affecting my home state, but I was compelled to click on this one. 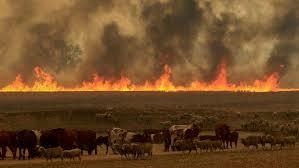 Growing up in the country, I know how devastating bush fires could be. As I read the story, my heart clenched. This family was out helping their neighbours. Realizing the fire was coming for their property, they only had the opportunity to pack one suitcase before getting out. I read line after line, while tears poured down my face. I could smell the fire, the smoke. I felt the grit of it all on my fingers. I went and took a shower. As I processed the story, something clicked in me. We had been working with some used furniture companies to sell off our three-year-old furniture, our white goods (Fridge, washing machine, dryer), and the few quality things we had moved over from America. But something in the Universe was telling me there was a better way. 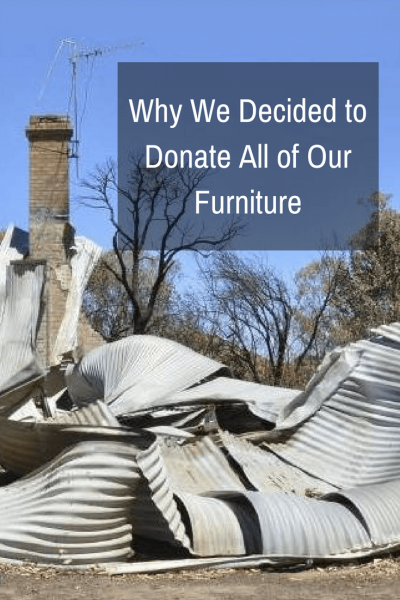 I began to tell him of the family near Dunedoo who had just lost everything. I broke down crying. I couldn’t even get out their story or what I was wanting to do. I was so torn up about what this family – all the families in this area really – had just been through, that I could not finish a sentence. I waved Rich away, muttered ‘I’ll be right back’ and left to collect myself, so I could explain my thoughts coherently. Rich knew I’d been following the fires in the area closely. I had grown up near the area – about an hour away in fact – and it was hitting me hard. In times like these, people pull together. It’s what you do. An indication of the Central N.S.W fires. 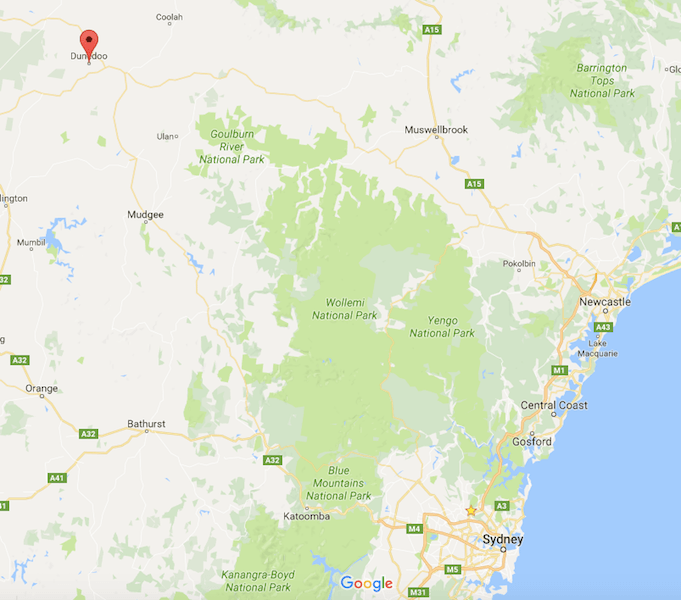 I grew up between Muswellbrook and Dunedoo. Growing up in the Upper Hunter, you were automatically part of the Volunteer Rural Fire Brigade. We had a truck fitted with a water tank always filled with water in case of emergency. 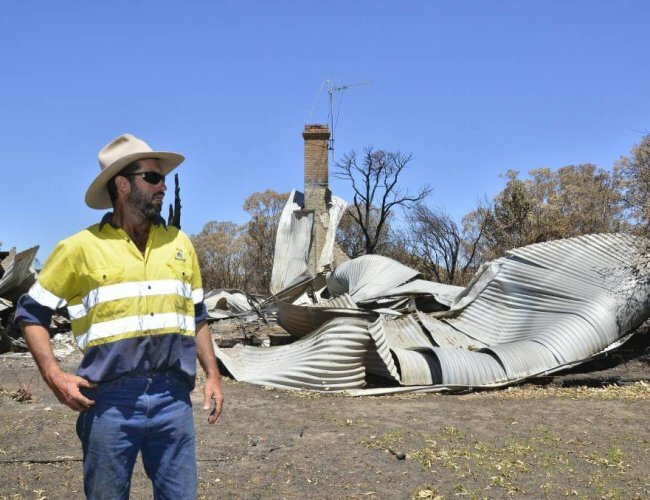 While my family had not dealt with a bushfire on our property, we were very aware of the real dangers, especially when winds could shift directions at any moment. I reached out to the family via their GoFundMe website. If I had to, I would contact a moving company to see if they would volunteer their services to get our goods to the family. And, if the family didn’t want it, we’d sell everything locally and donate the proceeds back to the Bushfire Relief Fund. Either way, the people of Central N.S.W. would have our help. Margot and I have now spoken a few times. With Margot’s help, a moving company has volunteered to collect our things in a matter of days. Our furniture will be stored in a container on the property until they can find a place to live. Currently the family – Chris, Sam and their kids – are staying with friends. The more we’ve heard of this family’s backstory, the happier we are to be doing this. This family have had their hard knocks, more than most. To have this happen to them, after so many other knock downs, I can only hope they will have faith in humanity again. The reason the family left with only one suitcase was because Chris was tending to the fire on another property while his wife Sam was helping a neighbour, who was currently overseas, pack up their house. They were out helping their neighbours. Sam had just gotten home and started packing their house when Chris called and said “Get out. Get out now. The fire is coming toward you.” She had enough time (suffering a hernia in the process) to get the kids, the dogs, and the suitcase into the car, before the fire took their house and their livelihood… but thankfully, not their lives. Donate directly to Chris and Sam Wentworth Brown’s GoFund Me account here. Let's Get More Visibility to This Appeal. PIN THIS. The more visibility we can get to help these families, the better. Hi Melissa. Wow, where did you grow up? We had a farm between Muswellbrook and Merriwa. It’s a different life, isn’t it? You completely life by what the weather is doing, how it’s affecting you, what Mother Nature throws your way. We were the same, never had a bushfire on the place, but always had the tank on the back of the truck filled, ready to go should there be one. There was always ‘a bushfire plan’. We hope it helps the family too – and the community with all the things the family may not want. It just felt the right thing to do. It’s what ‘neighbours’ do. What a great thing to do Tara.I grew up on a farm only a couple of hundred kilometres from Dunedoo. 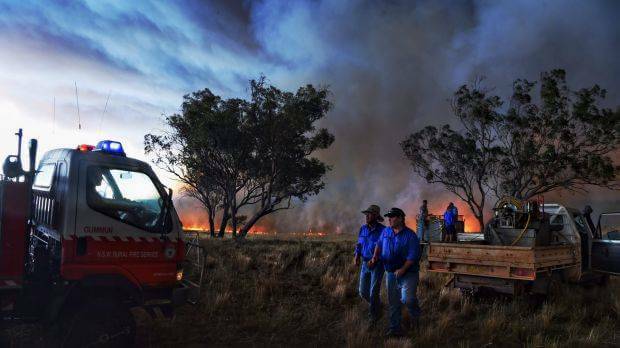 Fortunately we never ever lost any property to bush fires but I can recall our property being ringed by them on more than one occasion and my Dad and sister out plowing fire breaks in the middle of the night and moving stock closer to the house. Mum would have the car packed ready to go just in case the wind changed direction. Hopefully with your help this family will be able to recover.